True, Rudyard Kipling was based in India – but the jungles his stories were based on are also found in the terai region of Nepal! 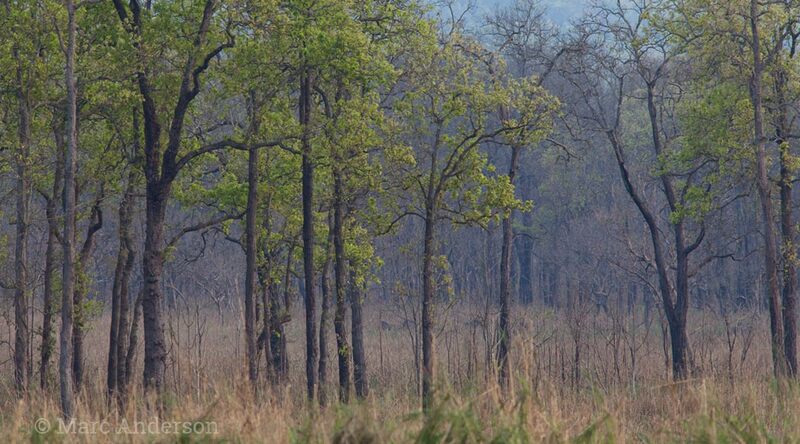 Chitwan National Park is home to a healthy population of tiger, leopard, sloth bear, rhino, elephant, gaur, dhole, sambar deer, spotted deer and many more mammals, not to mention around 500 species of bird! This soundscape was recorded late one afternoon in grassland adjacent to a stretch of dense riverine forest. Being mid-spring, the air was full of vibrant birdsong with orioles, barbets, doves, magpie-robins, ioras, mynas, coucals, junglefowl,peafowl and many more species all calling to create an incredibly complex soundscape. The alarm call of a large Sambar deer can be heard as a deep bark at regular intervals, a sure indication of a tiger or leopard nearby.